Nicholas Vilvandré was born in Lakenheath, England, and moved to the United States when he was a child. He loves the outdoors, boating, photography and traveling. As a youngster, he lived in California, Oregon, Montana, and Idaho as well as traveling across the states to visit relatives; He later moved to Bainbridge Island, Washington, and graduated from Bainbridge Island High School class of 1990. Nicholas has lived in the greater Puget Sound area for over 28 years. Nicholas has traveled to many remote destinations around the world, giving him a broader perspective on life than many. In his career, Nicholas has gained over 22 years’ experience in the customer service industry, facility operations, employee management and business development. In a market where there are no such things as “easy transactions”, Nicholas has been a top producer. 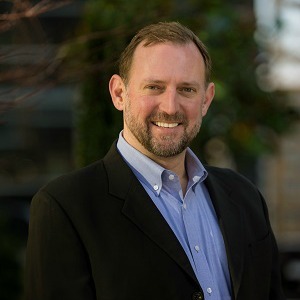 Formerly a Senior Transportation Manager for the largest parking company of America, Nicholas draws on his communication, managerial, business management and negotiating skills to successfully navigate transactions. With his sales skills and experience helps to lend a keen eye to the marketing strategies for his client’s properties. A firm believer in being armed with knowledge, Nicholas strives to educate his customers so that they are making informed decisions throughout the entire process. His philosophy is three-fold: the right price, at the right time, with the least amount of stress keeping in mind the market can dictated the situation at times. Nicholas enjoys helping buyers find their dream home. That's why he works with each client individually, taking the time to understand their unique lifestyles, needs and wishes. This is about more than a certain number of bedrooms or a particular zip code. This is about your life. And it's important to him. Nicholas helped us get the house we wanted at a lower price. He is very knowledgeable and worked very hard for us. He accommodated our schedules and went out of his way for us. He researched and provided in depth information about properties that we were interested in, therefor helping us make a purchase we are proud of. I would recommend his services to anyone looking to buy a home. "Hello Nicholas and Charles, We would like to thank you for the fast, efficient and professional way you handled the sale of our property. It was our pleasure to have met you. Thanks again." After failed attempts with two previous realtors i decided to use Nicholas and his assistant Mike and they got the job done! After continuous efforts working with difficult sellers/agent we were able to close on our property. Nicholas is very knowledgeable and good to work with including multifamily properties. We have purchased or built several homes over the years with multiple realtors but our experience with Nicholas has been one of the most professional and enjoyable experiences. He has been very thorough in researching the market for our needs, has demonstrated in depth knowledge of realty processes and has been pleasant to deal with whether we purchased the property or not. We would highly recommend him and look forward to working with him in the future. It was my first time buying multi-family investment properties in Tacoma, WA remotely from California. With Nicholas’ hard work, knowledge and expertise, I was able to buy two investment properties in Washington. One of the purchases was a 1031 exchange with fixed timeframe. During escrow, I had to fly outside the country to attend a family emergency. Nicholas and his team kept a close eye on the closing date and got the necessary paperwork and extensions to make sure that I could take care of my mom to the end. The transaction closed on time and did not need the extensions to complete the 1031 exchange without any complication. I truly appreciate the expertise and professionalism of the Charles’ team. 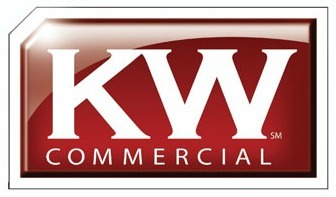 I definitely will recommend their services to anyone who is looking for multi-family investments in Washington State. We selected Nicholas to sell 2 properties. He was very responsive and stayed on top of the transactions to make sure everything got done correctly. When challenges arouse he was very good at problem solving and holding people accountable to make sure they fulfilled their end of the bargain. Skillful, helped me figure out the strategy I needed to get a multi family. It's a sellers market right now - Nicholas and his team are pretty sharp and helped me get a place that fits my needs. We saw a few properties that I made offers on that under closer inspection uncovered deal breakers. Go with what he says, start the process and when you've looked at a few deals and educate yourself I can highly recommend Nicholas guidance on whether you should pull the trigger- or not.